Our mission is to impact the effectiveness and position of our business and civic clients through high quality, value-added management consulting, organizational development, and training. We achieve this by living our values of integrity, service, relationships, respect, and professional growth. The name NorthStar was selected because it represents a basic philosophy for success: clearly identifying and following our personal and corporate "North Stars". These north stars are our beliefs, values, strategies, and key goals, all of which guide our personal and business decisions. 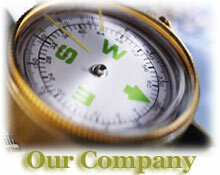 NorthStar is a full-service organizational development firm. Since 1988, our consultants have been helping companies and its leadership renew their organizations. We have relationships with clients ranging in size from Fortune 100 giants such as Procter & Gamble and General Electric to established local and regional firms and even entrepreneurs just getting off the ground. NorthStar does not offer generic solutions. Nor do we practice "hit-and-run" problem solving. Instead, you will be part of a highly interactive, individualized process which integrates time-tested principles with the most current management, information, and communication techniques. We use our industry's most cutting-edge technologies to provide you with clear, useful feedback - quickly and economically. Our mission is to help maximize your effectiveness as an organization and optimize your strategic position in the marketplace. We are committed to providing you with the highest quality consulting, executive development and training services possible. You will find that principle-centered living, high integrity, and professional growth and development are the ways we operate as well as what we teach. You will also discover that our approach delivers results and makes working through your vital issues much more enjoyable.